Vermont offers some amazing things—skiing, foliage, and maple syrup spring to mind. Now let’s add Red Kite’s artisan candy to that list. 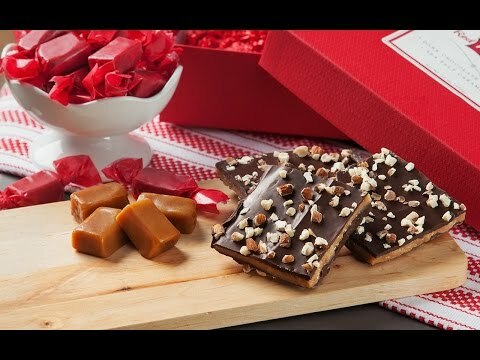 Their dedication to the richest ingredients makes for superb caramels and toffees. 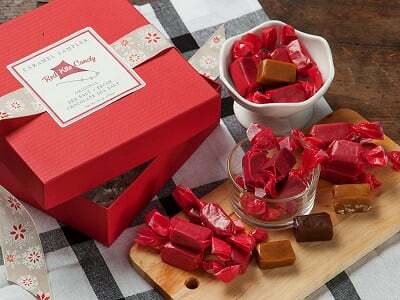 Founder Elaine McCabe made homemade candy for friends and family during the holidays. They encouraged her to market her treats, and after being diagnosed with breast cancer in 2007, she decided it was time. 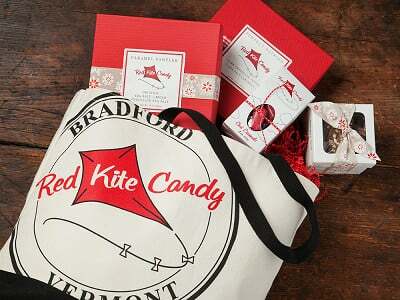 In 2009, Red Kite Candy was born, named in honor of Elaine’s late brother and their childhood pastime of flying kites. Elaine’s caramels don’t stick to your teeth. The key is the butter—rich, European style cultured butter—and lots of it! Red Kite uses organic, locally sourced ingredients whenever they can. Part of that is for the taste; the rest is to reduce impact on the environment. Much of their packaging is made of recycled, biodegradable materials, too. Vermont chocolate and caramels that are environmentally conscious and made of the best ingredients—what could taste better than that? Hello everyone! I'm proud to introduce Red Kite Candy to The Grommet. I'd be happy to answer any questions you have! Are you candies gluten free? Yes, Kathy, all of our candies are gluten free. I love sweets more than your average person and your ingredients make my mouth water. The issue I have though, is that for $32, I would get only 1lb of caramels. That seems extremely expensive. I can buy a pound of old fashion fudge made by mennonites, right here in Ontario, Canada, for around $10. I guess like everything though, you do pay more for branding. You’re right that it’s very expensive to make a premium product! But we don’t ever take shortcuts, so if that means paying top dollar for ingredients, we’ll do it. We’re sure the fudge is amazing too! Hi Tim, you are getting premium ingredients and the greatest roller coaster ride of your taste buds' lives! I guess the one downside is it will ruin other caramels for you. I went to Shelburne Farms for a visit and went into their gift shop. My aunt bought some of your caramels to share with our group. We absolutely loved them. When I got to work the next day I had a craving for a caramel and wanted to introduce them to my office. I placed the order and they were delivered very quickly. They are my absolute favorite caramel! Melt in your mouth yumminess! Thank you so much! (((blushing))) Thanks for your kind words. We absolutely love what we do!! Fun to see you here! I'm in VT too and it looks like I'll have to try out your product...yum! Awesome! Grommet carefully chose which of our products to showcase- I think the Tote Bag with Candy is the perfect way to "try" everything! Do you use any corn syrup, high fructose corn syrup, or any kind of corn sweeteners in your candy? We use absolutely NO high fructose corn syrup, and have switched to Organic Brown Rice Syrup for most of our candies. We still make our Pecan with just corn syrup due to the amount of corn syrup inventory we have on hand. Once that is gone, it will be all Organic Brown Rice Syrup. Vermont offers some amazing things—skiing, foliage, and maple syrup spring to mind. Now let’s add Red Kite’s artisan candy to that list. 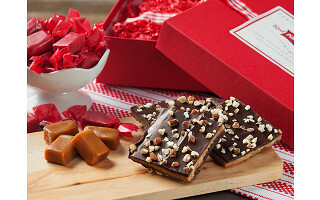 Their dedication to the richest ingredients makes for superb caramels and toffees. 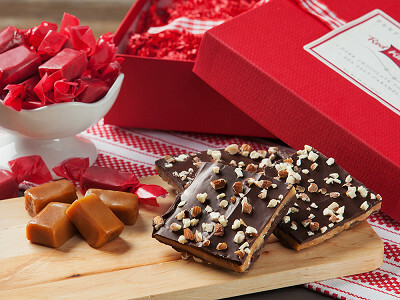 Founder Elaine McCabe made homemade candy for friends and family during the holidays. 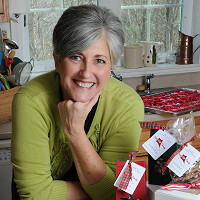 They encouraged her to market her treats, and after being diagnosed with breast cancer in 2007, she decided it was time. 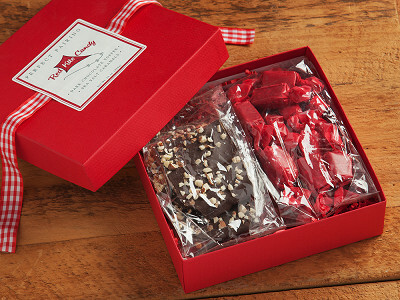 In 2009, Red Kite Candy was born, named in honor of Elaine’s late brother and their childhood pastime of flying kites. Elaine’s caramels don’t stick to your teeth. The key is the butter—rich, European style cultured butter—and lots of it! Red Kite uses organic, locally sourced ingredients whenever they can. Part of that is for the taste; the rest is to reduce impact on the environment. Much of their packaging is made of recycled, biodegradable materials, too.